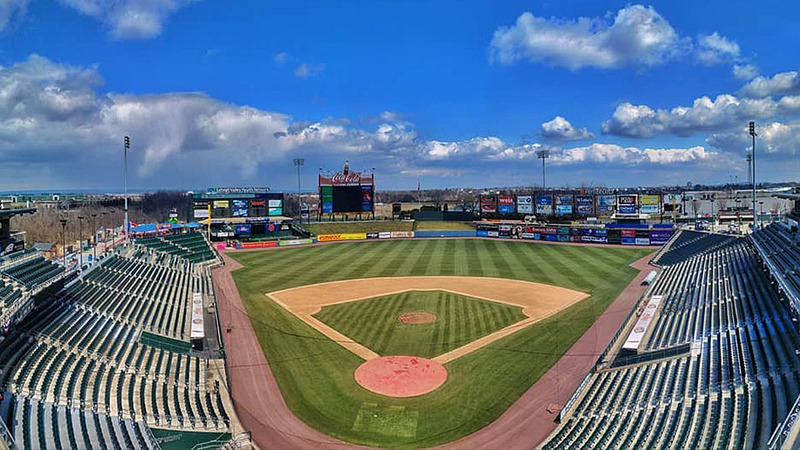 The Lehigh Valley's leader in local sports broadcasting is adding a drone to the 2018 lineup in their Emmy award-winning exclusive broadcasts of the Lehigh Valley IronPigs games. Service Electric TV2 is partnering with Lehigh Valley Drone, a young Valley-based company specializing in aerial imagery services. "Service Electric Cable TV2 is excited to add this new perspective to our broadcast to enhance our viewers' experience," said Andy Himmelwright, General Manager of Service Electric TV2. "We are proud to be the exclusive television partner since the beginning and every year I look to bring something new and interesting to our television audience." Kurt Landes, President & General Manager for Lehigh Valley IronPigs said "The IronPigs are thrilled that the award-winning Service Electric production of our games continues to grow each season. No other Minor League team in the country televises every game live, nor with the amazing production capabilities that Service Electric provides. The IronPigs and our fans are both blessed." Aerial footage is not new to major sporting event broadcasts. However, it will be the first time a drone is used to provide a live video feed to a professional sports team here in the Lehigh Valley. Typically, a helicopter is used to feed aerial pictures to the remote production truck. This is highly expensive and a cost that is usually prohibitive to local productions. Drones cost a fraction of the operating cost of a helicopter. "We are adding a new dimension to an already excellent production," said John Fries, Co-founder of Lehigh Valley Drone. "I'm super excited by our test shots and I think the viewers at home will be in for a special treat too." The two companies committed to use the drone for at least 20 home games this season. The first games the drone will be used are the April 12th home opener and this Saturday's contest. Service Electric Cable TV, a privately owned cable company run by President John M. Walson was founded in 1948 and features digital cable, telephone, high speed internet, high definition and video on demand. For more information about Service Electric please visit www.sectv.com.